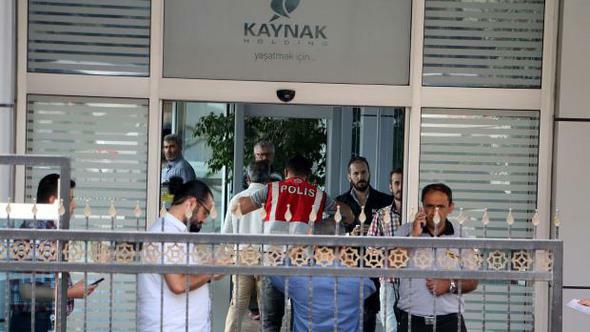 Detention warrants were issued for 102 former owners, executives and employees of Kaynak Holding, which was seized by the government in November 2015 due to its links to the Gülen movement, according to state-run Anadolu news agency. An Istanbul prosecutor reportedly found out that 110 people with links to the Kaynak Holding had used Bylock, a controversial mobile app that Turkish government believes to be the top communication tool among Gulenists, as part of a new investigation. As 8 of the 110 people are already in jail, warrants were issued for 102 people. Anadolu said 59 of the suspects were rounded up as of midday on Oct 20. The government accuses the movement of masterminding the failed coup attempt on July 15, 2016 while the movement denies involvement.